While the main focus of 2017 will have been the ever increasing Hurricane gatherings we saw over the summer, the First World War enthusiast has had a great deal to enjoy as well. Shortly before the newly restored Sopwith Pup made its debut at Duxford at the end of May, a more familiar Sopwith returned to display flying. Having been damaged in a landing accident in 2014 the Shuttleworth Collection’s Sopwith Triplane Replica “Dixie” flew again early in 2017. 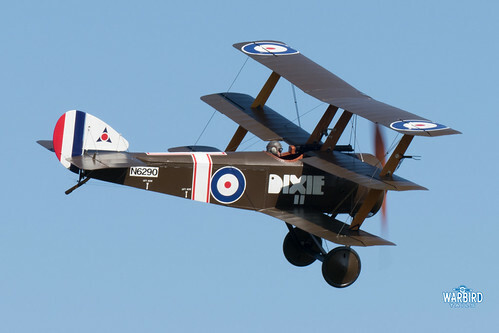 The Triplane looks brand new again having had significant restoration work completed over the past few years. 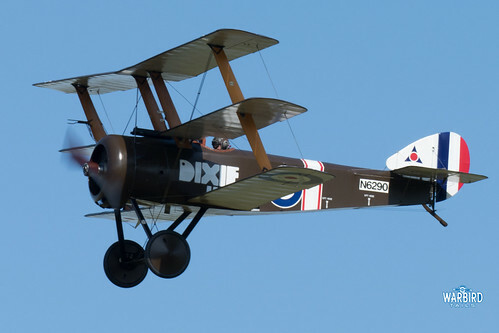 The opening airshow of the year saw “Dixie” take to the skies at Old Warden again to perform for the crowds. 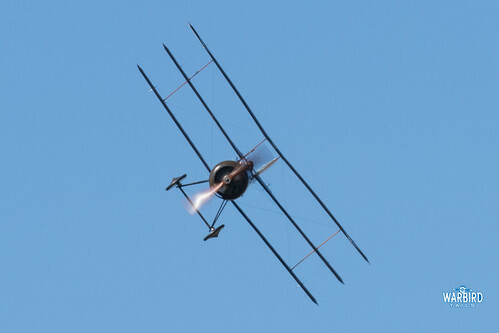 The Triplane is always a great performer with its powerful rotary engine and impressive turn of speed making a great spectacle. One of those classic “Shuttleworth Moments” is the sight of the Sopwith Triplane banking around the famous Old Warden bend. Most definitely airshow magic and certainly deserving of a slot in the Airshow Moments series.